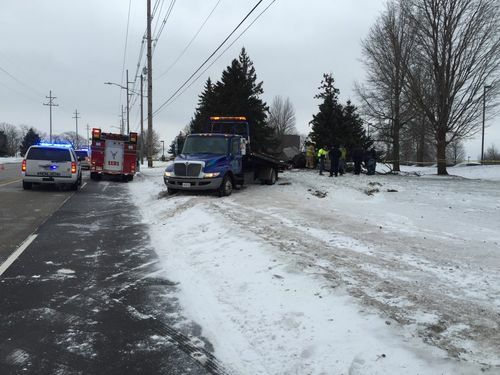 HOLLAND, Mich. (WZZM) -- Police are investigating a fatal, single car accident on Waverly Road in Holland. Officers were called to the scene between 24th and 32nd streets at 8:43 a.m. Friday, though they believe the accident happened hours earlier. Edward Sedell-Shaquille Isom, 23 from Holland Township, was heading south on Waverly at a high rate of speed when he left the road, rolled several times and crashed into a tree. He was ejected from his 2002 Pontiac Grand Prix and was pronounced dead at the scene. Waverly Road was closed for several hours after the crash. If you have any information about this accident, please call the Holland Department of Public Safety at (616) 355-1100.